Welcome to Mahirah Fine Indian Dining In Hampton Mahirah serves excellent authentic Indian food with sophisticated flavours. It has been the ethos behind the innovative dishes that apply eastern flavours with a western touch. We have an emphasis on refined yet creative Indian cuisine. The menu integrates both traditional classic favourites with new and creative dishes which are freshly prepared in clean and hygiene maintain Kitchen (All our staff are fully trained on Food Safety and Hygiene) with highest standards, using the freshest and finest quality ingredients with very little oil by our chef who has over 20 years experience. Over the years Mahirah has earned an excellent reputation for the delicious dishes and for its great quality and value. 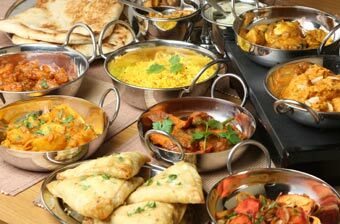 Give us the opportunity to give you the experience of the real taste of Indian Cuisine. We have our new online order facility available now. Above all, it is mobile responsive too.We have two payment options at the moment. Please use the option for Collection or Delivery from the website and carry on adding products to the cart. You will be prompted to wait for a confirmation from our terminal at the restaurant. Our two way communication system will let you know the delivery time.